Colour Brick & other pressies! 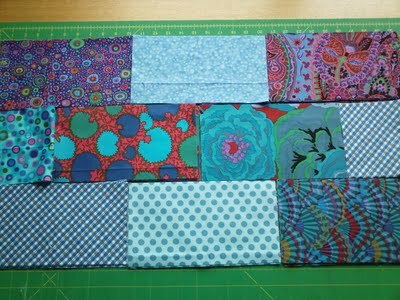 My nephew turns 13 on 8th June, so I thought I’d better get my skates on regarding his birthday quilt. 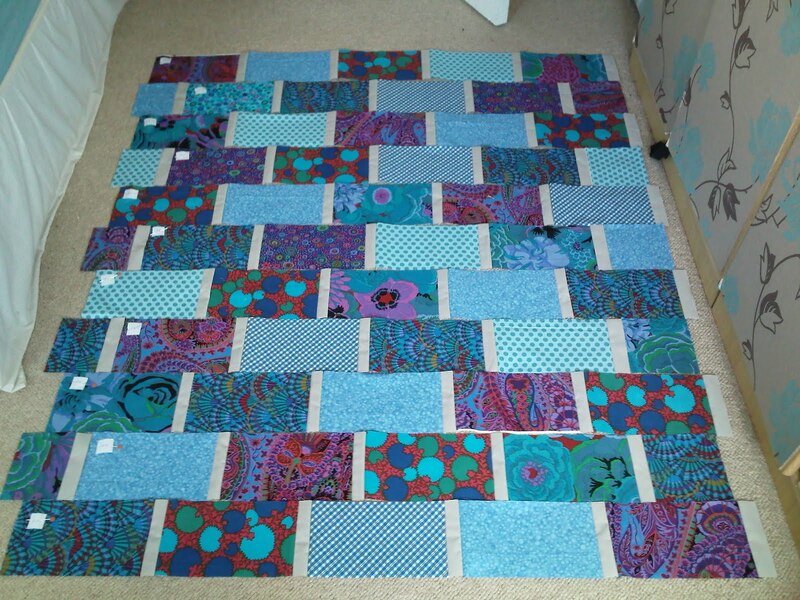 I’m following Rachel Hauser’s tutorial for the Colour Brick Quilt Along she did last year. 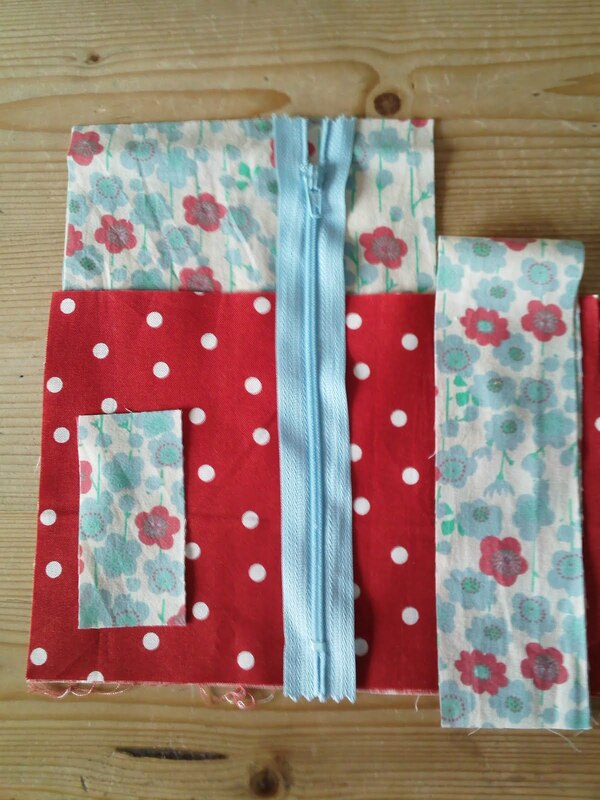 Rachel has an excellent & detailed tutorial over on her blog, but I’ll just give you the edited highlights of what I’ve done so far. A mixture of Kaffe Fasset & others from my stash! 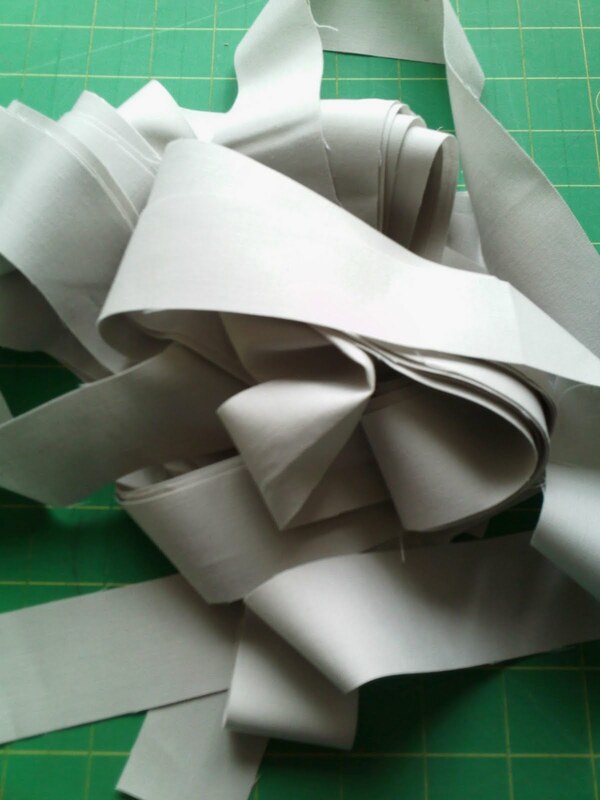 I decided on Kona Ash for the sashing – more boyish than white I think! This is one VERY long chain!!! Just looks like a mess so far! I’m just going ‘random’ with my design, no set pattern. Half bricks are created for the edges by cutting in half 5 overhanging bricks. So, that’s as far as I’ve got. 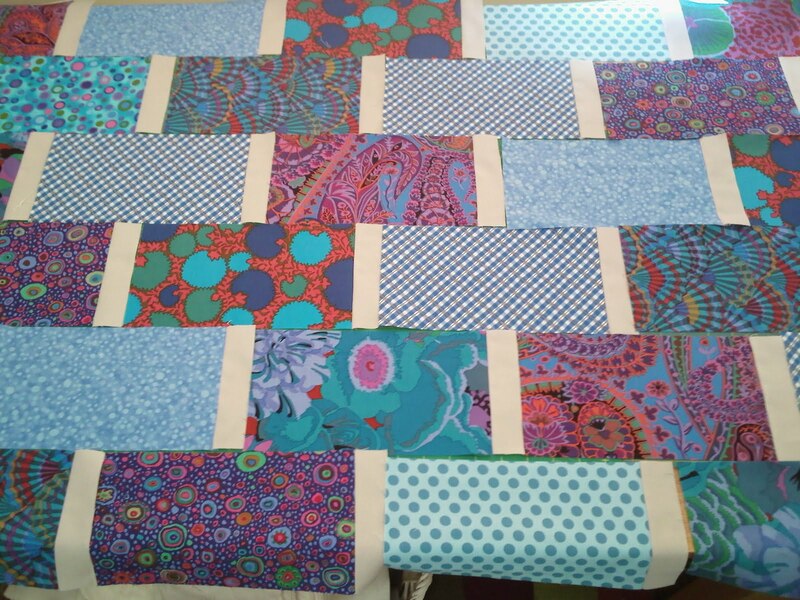 Next step is to start adding the horizontal sashing (12 strips!). I’m really pleased with how this is shaping up. My nephew is a stylish & trendy young lad, and his bedroom is bright blue, so I hope think he’ll be pleased! Yesterday my girls were wonderfully blessed by a huge bag of clothes from some friends in our church. 3 young, talented, trendy and extremely generous sisters had a clear out of their wardrobes and brought the donation to us! It was like Christmas come early! 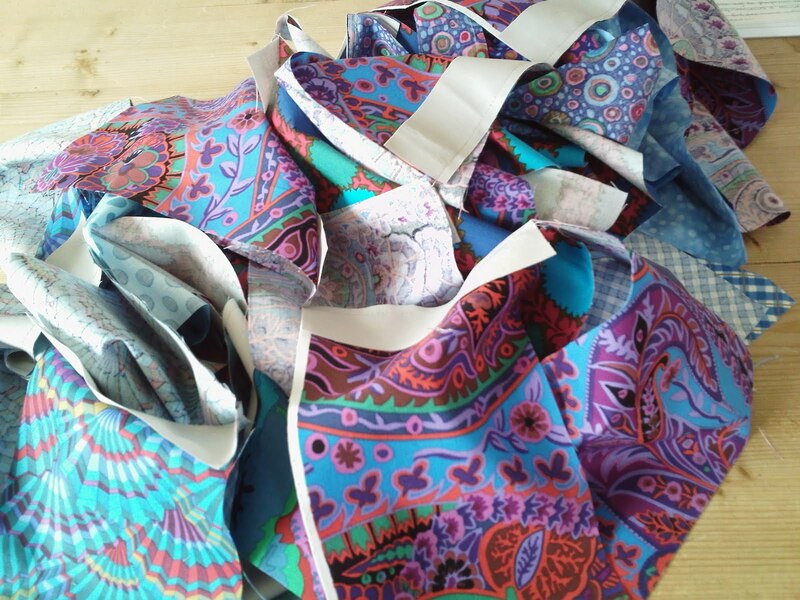 So to say ‘thank you’ to our friends, I’m making them each a make-up purse based on Flossie Teacakes’ design. 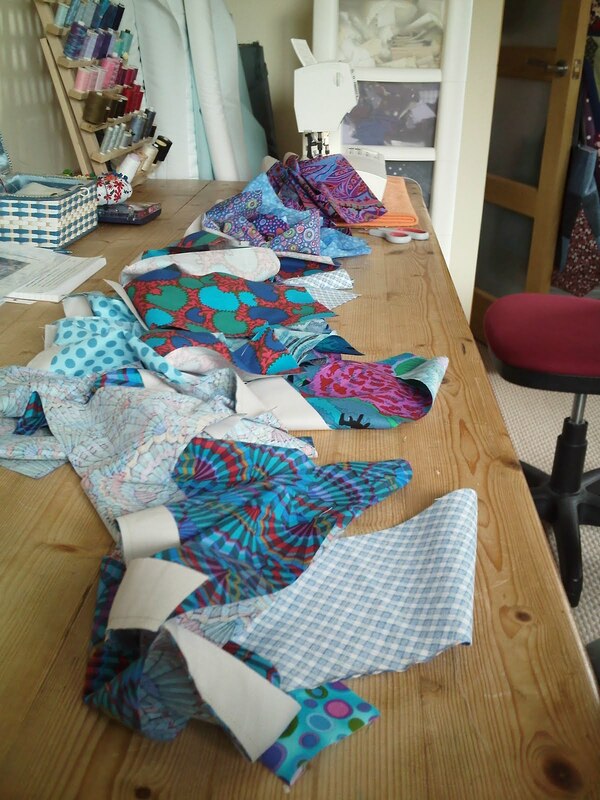 All cut out and ready to go ……. 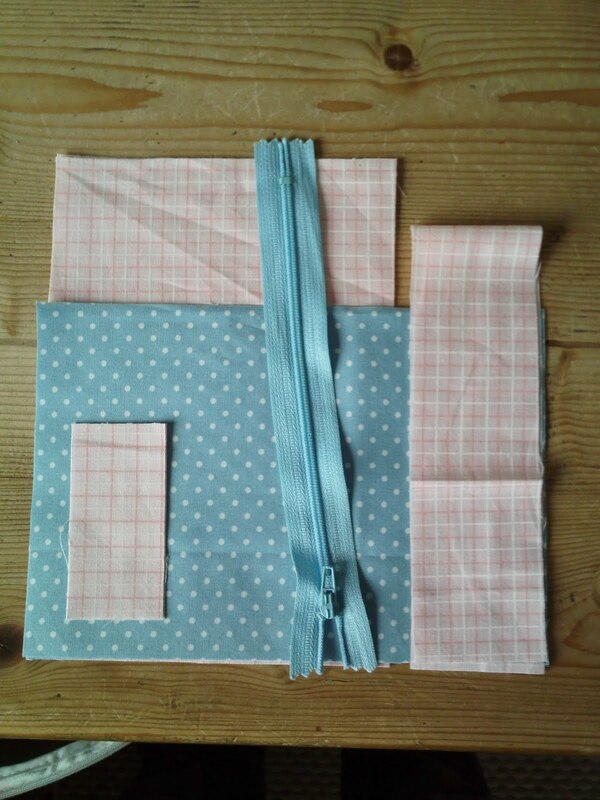 I haven’t tried this tutorial before so am looking forward to making some new gifts. Previous Previous post: The New Calendar Gals! 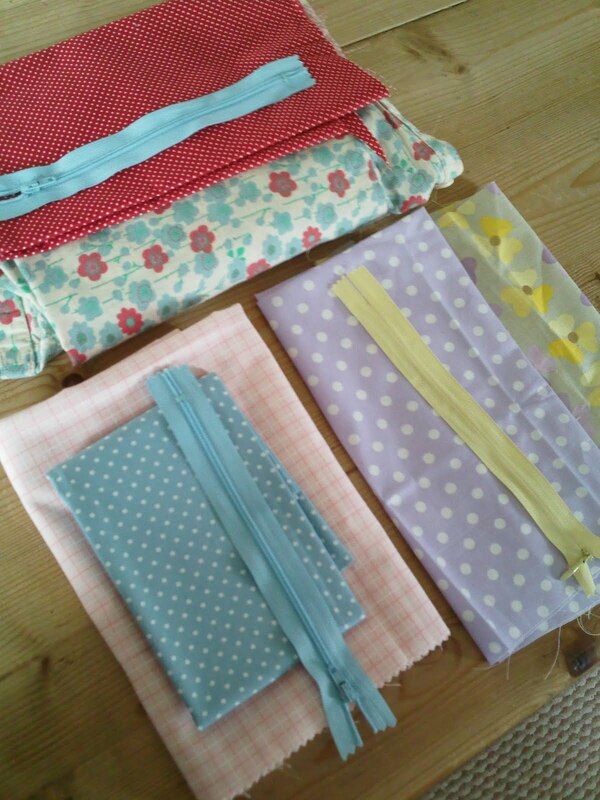 Next Next post: Gift Pouches Complete!